We offer skills training as an extension of your liberal arts education. It’s a place to learn digital competencies and skills, things like video creation, blogs and social media best practices. These skills will help you in courses at SNC, but also help set you apart when looking for a job in today’s and tomorrow’s workplace. Best of all, it’s free to you as a student, staff member or faculty member. 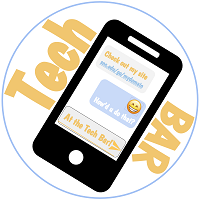 The Tech Bar provides peer tutoring to all students on digital projects and assignments.Students can schedule one-on-one or small group tutorials with a trained peer tutor on a variety of subjects relating to common systems, technologies, and tools used in courses at SNC. Students interested in sitting down with a tutor to discuss an extracurricular project are also welcome to schedule appointments. When the Tech Bar is open, walk-ins are welcome too. We will be working with faculty members to help provide students with resources for digital projects they are implementing in their courses. Your professor will receive a receipt when you have completed appointments at the Tech Bar for class projects. Currently our Tech Bar Consultants are trained in using G Suite, WeVideo, and WordPress. We will be adding more skills in the future as well. To schedule an appointment, please use our scheduler.